The best and easiest ways to manufactured spend involve using the prepaid cards REDcard (aka REDbird), Serve, or Bluebird. NOTE: If you are not responsible with your credit cards, DON’T bother reading any further. First off, what is manufactured spending? Manufactured spending is a term used in the miles-earning and points-earning world. It is also more easily referred to as MS. Typically it refers to buying things that are cash equivalents with point/miles earning credit cards. Such things might include visa gift cards, money orders, or funding a bank account or prepaid card account with a credit card. Basically, the ideas is buying cash with cash and then using that cash to pay your credit card that you bought it with. When all is said and done, you end up earning 0-2% in miles or points from those purchases. The most important reason people do this is to help them meet spending limits for credit card bonuses. For example, you apply for a credit card that will offer you 50,000 in points after you spend $5,000 in the first 3 months. This is awesome, but what if you normally only spend $500 every month? There is no way you will reach that type of spending in such a short amount of time. Manufactured spending is a way to spend more on your credit card in order to get those bonuses. Some people apply for 3-6 credit cards at a time. Unless you are spending thousands of dollars a month, it can be very difficult to reach those minimum spending limits. Solution? –You can use manufactured spending methods to spend thousands of dollars in short periods of time. 2) Earn points or miles redeemable for travel or cash. Another reason people manufactured spend is simple to earn 1-2% cash back from their credit cards. If you can spend 100k in a year, that will earn you 1-2 thousand dollars. If you have a 5% cash back card at the location you are manufactured spending (i.e. buying visa gift cards at a grocery store) then you can earn even more. The ways you can manufactured spend are continually changing. It's not illegal at all, but in the end companies usually frown at it because it doesn't make them a profit. It's like a fish taking the bait without biting the hook. Companies want you to take the hook and make them money when they put out awesome deals (bait). 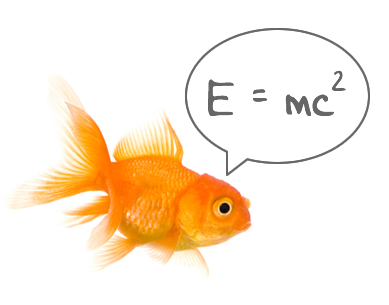 But manufactured spenders take the good deals and leave the hook (they are the smart fish). Buying vanilla reloads, using amazon payments, and even buying gold coins are ways that have worked in the past that no longer work. There is a good amount of people that manufactured spend, but the numbers are teeny tiny compared to all credit card consumers. While the landscape of manufactured spending has changed quite a bit this past year, there are still some awesome ways to manufactured spend. Current methods will die and new ones emerge. UPDATE: You can no longer use the Redcard to load with credit cards. Debit cards with pin numbers work still. REDcard -- also referred to as REDbird in the points and miles world. Don't get this card confused with the REDcard Credit or Debit cards...they are different. It has to be the "REDcard Prepaid card"
You can load it with a debit card (not gift cards) online - up to $200 per day and $1,000 per month. In-store with cash, debit (including gift cards with pins), and credit cards - limit of $1,000 per transaction and $2,500 per day and $5,000 per month. Limits are reset every calendar month. How to use it for manufactured spending? Of course this last method of loading you REDcard with a credit card is the way to use the card to manufactured spend. 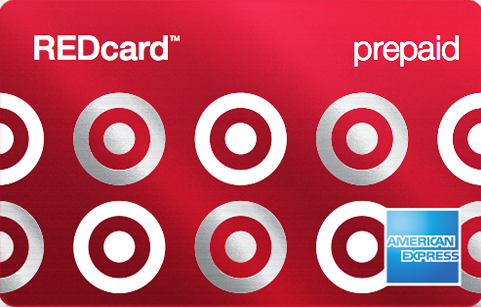 How awesome is it that you can simple go into Target and fund your prepaid card/bank account with a credit card with absolutely no fees?!?! FREE miles and points! This is the ultimate and it is just a matter of time before it will be gone, but that could be a few more months or years. 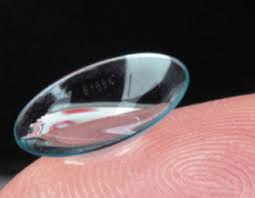 My hunch is that it will be around for at least 5-6 months. The max you can load with any method or combined is $100,000/year...that shouldn't be a problem though because the monthly limits don't allow such spending with a credit card. The hard part: This card is NOT available to get at all Targets. Here's a location map of all the currently available spots. If there aren't any close to you, you are out of luck...or you can buy one from someone that gets it for you. They will charge you $15-$30 to get it. This is how I got mine for $15 each from this forum you can also purchase one from 616mg.com for $30. When you get it at the store, it must be activated and you can load an initial $500 onto this temporary card. You will then register it online and then receive the permanent card in the mail in about a week. Here is the link to register. This card is still pretty new. Many employees don’t know how to load it. But they simply swipe the card and follow the prompts. When you load it at the store it has to be done in $1,000 or less increments. If you want to load the full $2,500 daily limit you will need to do that in 3 separate transactions (i.e. two $1,000 and one $500). You can explain to them that you want to load a total of $2,500 but the card will only allow a max of $1,000 increments so it will require 3 swipes of the REDcard before you pay for it with your credit card. It's actually very fast and easy to do. The cashiers are very friendly and willing to help. One thing I’ve learned is DON’T go over the daily or monthly limits. Often times the register will allow you to pay, but the money won’t go onto your REDcard. This creates a little bit of a headache to resolve. Another thing I’ve learned is that when making these large “purchase” at target, your credit card company may send out a fraud alert or freeze your card until you call the fraud department to clear the transaction. This is because of the recent Target issues in the news and they want to make sure it is you making these purchases. If this happens just call your credit card company and authorize the charge. Let's do a little math. I have a credit card that earns 2% cash back on all purchases. If I fund/load the full $5,000 monthly limit with this 2% cash back credit card, I will make $100 a month. Sweet and this really can help meet those minimum spending limits to get those credit card bonuses. Thus far, all credit cards will show this transaction as a purchase and not a cash advance (therefore, no fees are assessed to your credit card)...I will update if this changes. 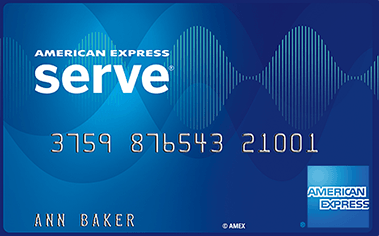 Serve - UPDATE: this method has changed slightly....the online loading part can only be done with AMEX credit cards and won't earn points unless it is a 3rd party AMEX card. I think this is the best option of the 3 currently. This is the easiest way to manufactured spend. Simply apply for the card card HERE ONLINE and you will get the card in 1-2 weeks. Fund your account online with a credit card! No fees. Up to $1,000 a month and $200 daily. This isn’t the $5,000 a month you could do with a REDcard, but it is easier and you never have to leave your home. Why is Serve the easiest? Because you can do everything online! Never have to go to Target or Walmart. There are no fees unless you don’t use the card every month. If you don’t load the card there is a monthly $1 fee. But why wouldn’t you be using it to load money? Free points and miles!!! You can set up an automatic load for 5 days in a row if you want…That way you don’t have to go online 5 times to make the load. If you want go load more than the $1,000 online monthly load, you can load the card at WALMARTS with a debit card, including visa debit gift cards with pins will work to do this. Buy a debit gift card that has a pin with a credit card à go to Wal-Mart and use the debit gift card to load your serve card. Thus you are liquidating that purchase. This requires some more advanced knowledge about which gift cards to purchase and with what credit cards. I can write a post about that at another time. Last note on Serve: If you want to increase the $1,000/month online credit card load limit, you can get the Softcard app and apply for the serve card via the app. I won’t go into any details about this now. This is probably the worst option right now, but still can be very useful. 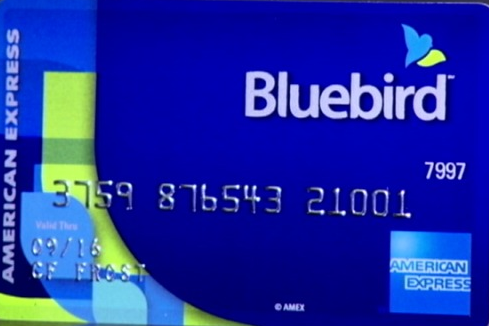 Bluebird cards can only be funded with direct deposit, bank account transfers, or debit cards. Apply for it online here. So basically it’s the same thing as Serve, except you can’t fund it with a credit card online. You can still make use of it, but you'll have to first buy Visa/MasterCard gift cards at a drugstore, grocery store, office supply store, mall, gas station, online or wherever you can find them. Once you have the visa gift cards you can use them as a debit card to fund your Bluebird account at Wal-Mart. So why get this card if you can get Serve? You shouldn’t. Pick wisely. You can only get one of the above....You can always cancel, and get a different one if you want to in the future. Question regarding Serve: How do you get the money from the card into your bank account? Is it like Bluebird where you can write a check to yourself and deposit into your bank account? Or how else can you get the money out without actually having to purchase anything or pay any bills or withdraw cash from an ATM? Yes, you can withdraw into your bank account. Click on the "settings" tab on the on the upper right and then on that page you will see an option to withdraw your funds. I believe you can also have a check sent if you would like, but I have never done that. I know you can also use certain ATM's for free (with limits). You can also pay any bills you have (mortgage, credit card bills, etc.). Ok, cool thanks. I don't have Serve yet, but I think I will get one now! No problem. I think you will really like it. Do you know if you can load Serve using the Barclaycard Arrival Plus World Elite Mastercard? Yes, you can. That is my go to card because of the 2.2% cash back it earns. I used it many, many times with Serve. If you Google "Redcard Resales", they are now offering the Target Prepaid REDcard online for folks in states where it isn't available. Looks like a very legitimate website. Hi; Just subscribed to your blog and reading your posts. Loading Serve online is not completely dead! You can still load A/E cards which earn Rewards points (for what their worth). By the way, typing comments here is very difficult because cursor keeps moving around and causing problems. I like the ones that can be done from home. So far, that is Serve, however i can only load with Amex CC's, and Im not sure it would count towards Min. Spend Requirements. Buying Gift Cards, and then begging and hoping WM will load Money to Serve, is too risky for me. Yes, Serve can be done from home, but will only earn points on 3rd party AMEX cards such as Fidelity. I believe all of the AMEX cards however, count towards the minimum spend req. There isn't much risk loading gift cards to Serve/bluebird at WM. It is more of a hassle than anything. The risk would be, if u can't Liquidate. Then youre stuck with CC bills u can't Pay. I am really very happy to read your blog. Education is backbone of a nation. This is very informative article about reading and learning Manufactured spending. I really like your blog post very much. Thank you for sharing and waiting for your new post.